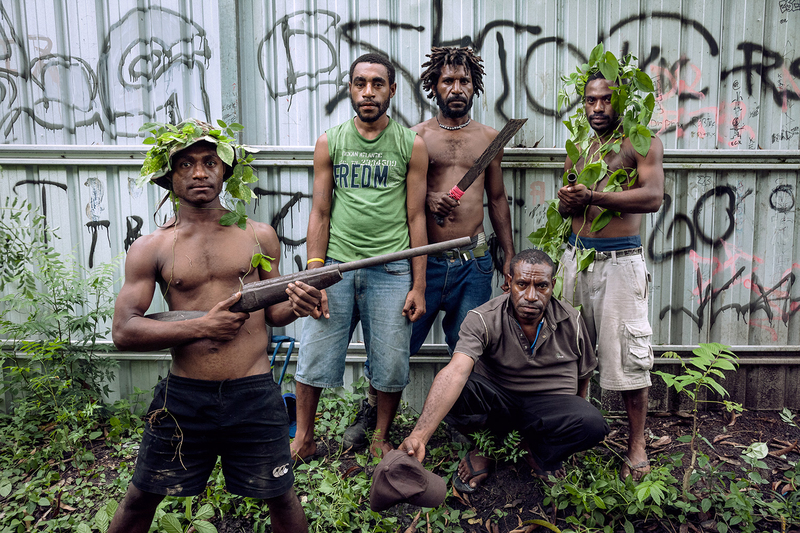 Members of the Raskol gang ‘Dirty Dons 585’, in the 9 Mile Settlement, Port Moresby. 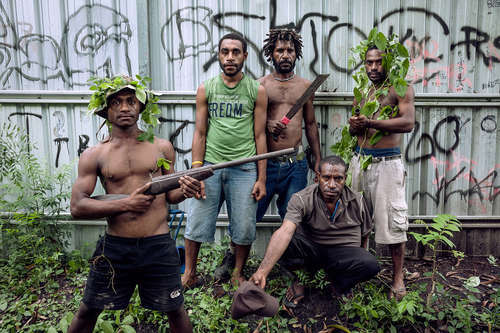 The gang committed a set of rapes and armed robberies. ‘Dirty Dons’ admit that two thirds of their victims are women.